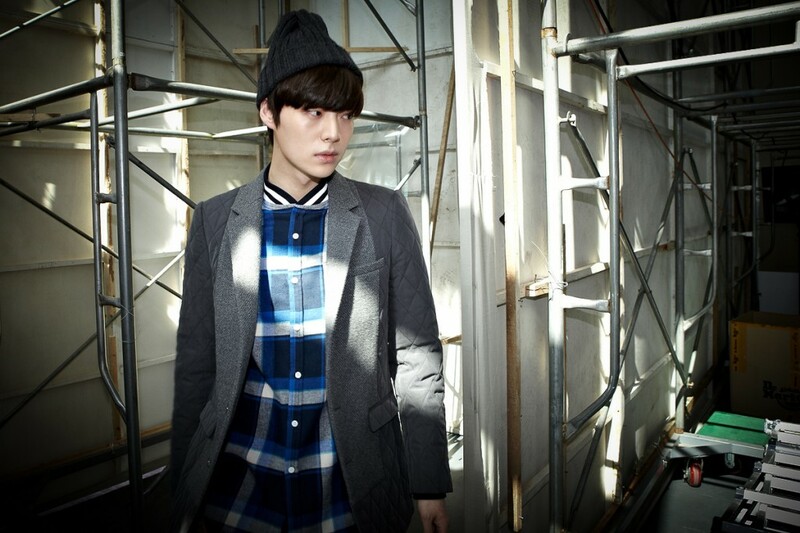 BFA Men’s Wear Design alumnus Munsoo Kwon showing his F/W 2013 Collection during Seoul Fashion Week. Photos courtesy of Munsoo Kwon. Last fall, Michael Hurt of The Huffington Post wrote “Many of those deep in the fashion industry already know that South Korea has been a major exporter of high quality textiles for decades, but the country’s fashion industry has been moving from just being a textile export powerhouse to producing world-class designers on the runways and sporting looks worth following on the streets.” One such designer is Academy of Art University alumnus Munsoo Kwon. A 2007 BFA Men’s Wear Design student, Munsoo has been featured in Korean Elle, Nylon and Esquire, and most recently showed the first collection for his eponymous line during Seoul’s Fall/Winter 2013 Fashion Week. The designer is already gearing up for his Spring/Summer 2014 collection, but sent Fashion School Daily his insider insights on what it’s been like building his brand from his days as a student in San Francisco all the way to launching his own line in South Korea. It’s been five years since you graduated from the School of Fashion. Did you ever imagine you would have had such amazing opportunities when you finished school? I really didn’t expect to launch my own label in such a short period of time. My only goal back then was to work for designers who participate in New York Fashion Week once I had graduated. How do you think your time at the University prepared you for life in the industry? Overall I had a great time at the University. I think the school offers good curriculums and great projects for students who dream of becoming fashion designers. For me, preparing for the graduation show helped me learn to manage a complete collection as a designer for the first time, rather than just designing several nice individual pieces. Also, when I joined [Andrew Buckler], they were specifically looking for a designer who can use illustrator for flats. I had taken a class which taught me that, so I can say AAU really prepared me not just in terms of attitudes but also giving me the necessary tools and skills to use right away in the industry. Model backstage at Munsoo Kwon during Seoul Fashion week. What was it like designing for Andrew Buckler? I was very pleased to work at Buckler. The line showed during Fashion Week, and there were two stores in New York. The head office was in the meatpacking district, which was near my place. All of my co-workers had international backgrounds as they were from the UK, US, Denmark and Canada, so they understood me and were very kind even when, back then, I didn’t speak English very well. We worked very closely and became like family. I was able to learn a lot of practical tips and details about the industry, and gained amazing experiences during the five seasons I was with them. I’ll never forget the moment the gray wool, mod parka I had designed was released on Style.com for Fall/Winter 2010 Menswear Runway. Tell me about the collection you showed during Seoul Fashion Week. Seoul Fashion Week has this program called Generation Next, which supports emerging designers who have been in the industry for over one year, but less than five years, so they can present their collections. New designers can apply, but are intensively evaluated by judges before they are selected. Kang.D who is the creative director of D.GNAK (Korean menswear collection) suggested that I apply for this great opportunity. Thankfully, I was selected. Munsoo Kwon Fall/Winter 2013 Collection was inspired by the theme of “Kidult”. Kidult, which is a compound word of “kid” and “adult,” explains the phenomenon of adults participating in youth culture and activities traditionally intended for children. These “Kidults” admire popular culture from the 80’s and 90’s – movies and novels, legendary sports superstars from that era, and collect childhood toys and small figures. Kidult has become a cultural syndrome and new trend in different aspects of consumer consumption. As a result, I was able to design this collection with more elements of fun and color than my previous ones. What is trending in Seoul right now that is different than the styles seen throughout the rest of the world? Fashion trends in Korea change very fast! The interest that the younger generations has in fashion is larger than ever before. For that reason, it is difficult to define or even describe current fashion trends in Seoul. I now see a lot of people with bold styles which show off their individual characteristics. I’m really glad to see Korean people creating their own style, without just following the mega trends as they used to. What do you hope the next five years will look like? I don’t feel like I have to rush to be an instant success. I believe it’s critical for me to gain ground by working step by step. I hope I can show more pieces and present my collections in more countries. Who knows? Maybe in five years it’ll be an honor for me to be the Guest of Honor for the University’s Graduation Fashion Show, haha! 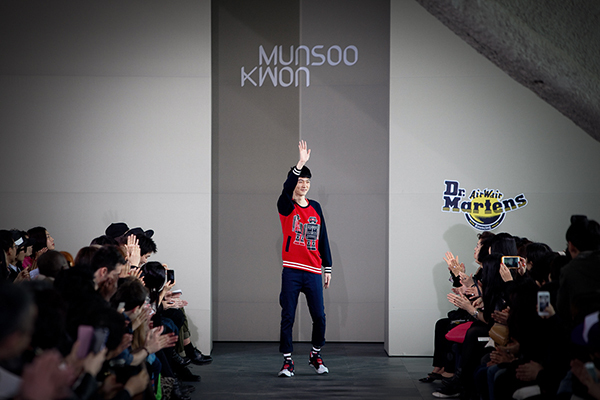 Watch the below video to see Munsoo’s complete Fall/Winter 2013 show for Seoul Fashion Week. For more “Alumni Updates”, click here.